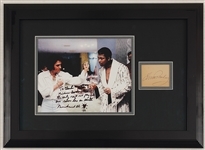 This beautiful display features a Muhammad Ali signed and inscribed 8 x 10 color photograph of the famous time that Elvis and Ali met in Las Vegas that has been framed and matted with a large 3 x 2.5 Elvis Presley signature cut. 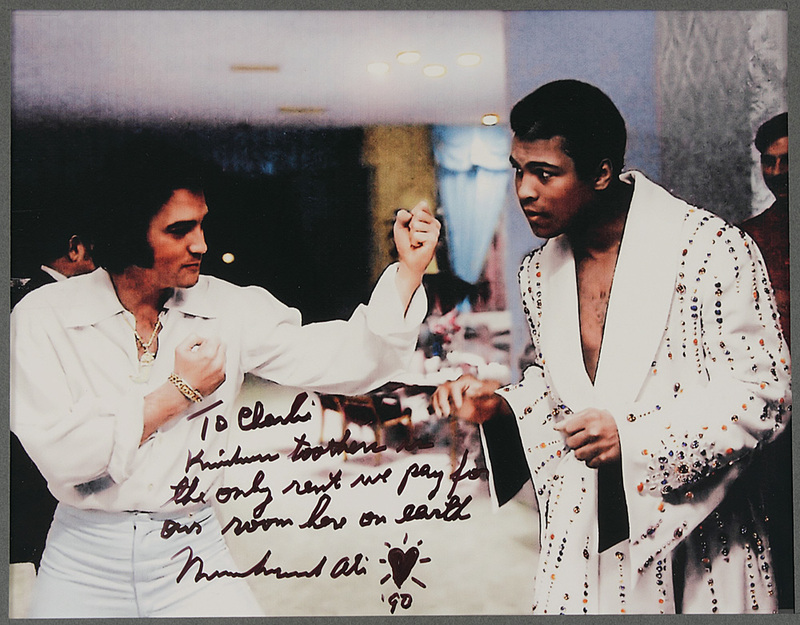 Ali inscribed the photograph to Presley's long time close friend Charlie Hodge, "To Charlie, Kindness together is the only rent we pay for our room here on earth, Muhammad Ali, '90", with a drawing for a heart, in black sharpie pen. Charlie was with Elvis that night in his suite at the Las Vegas Hilton when this famous photograph was taken of Elvis and Ali sparring, with Ali wearing the special beaded robe that Elvis had custom made for him. 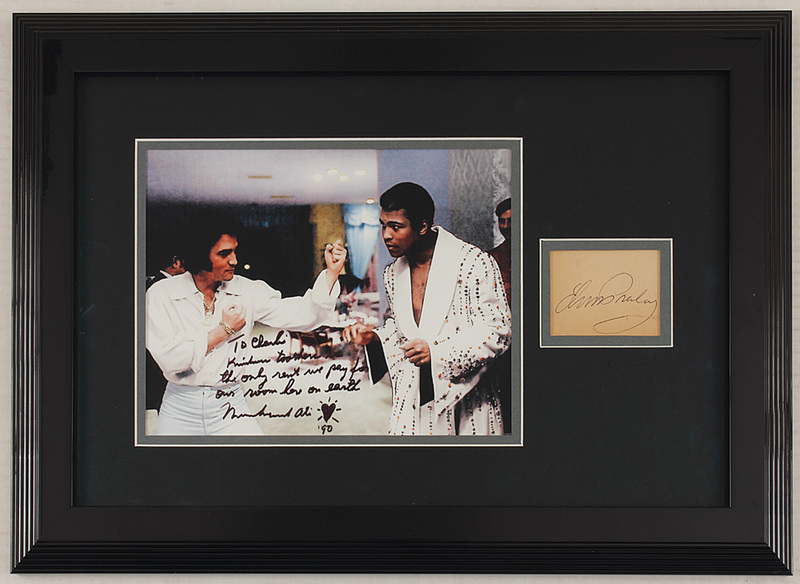 Many years later, Charlie saw Ali again and he asked Ali if he would sign the photograph of Elvis and Ali together This photograph has been matted and framed with a beautiful Elvis Presley autograph, to measure a total 22.25 x 16. Very good condition. Accompanied by a letter of provenance from Charlie Hodge regarding the photograph of Ali and Elvis and his subsequent obtaining of Ali's signature and inscription. 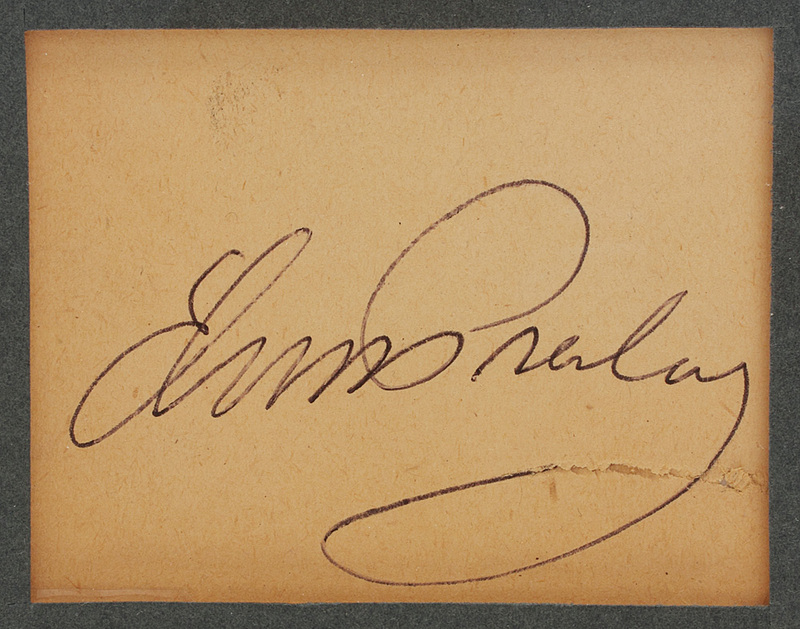 Comes with the original envelope with Charlie's return address on it that went with the photograph. Also comes with a Gotta Have Rock & Roll™ Certificate of Authenticity.